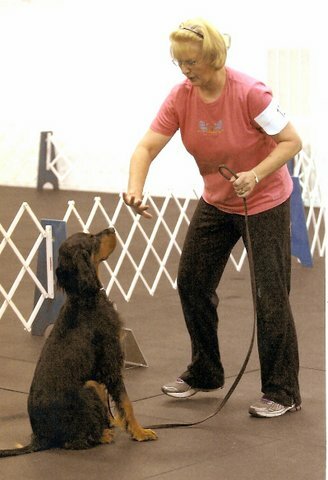 Thank you to Guest Blogger – Denise Paquette for submitting this article sharing her thoughts around living with the Gordon Setter. A day in the life of a Gordon Setter……. First thing in the morning – the alarm goes off and the snuggling starts. Although a Gordon is ready to roll in the morning, it must be preceded by some serious snuggling. After 30 minutes of hitting the snooze button and being smothered by a 70 pound dog, it’s time to get up. A friend of mine once called one of my boys “a love sponge”. Gordon Setters are a bit needy and high maintenance. They are not “backyard dogs”. If you leave them alone in the yard while you’re off at work, neither you nor your Gordon will be happy by evening. Most Gordon Setters are social and love to go with you to town, the park, the beach or best of all hunting. All they really want is your attention, your love, and to be by your side. Gordon Setters are family dogs and do well with children. Mostly they are very sweet and love the attention and games that children play. They do well with other dogs and often enjoy the company of cats. If you have a busy life and don’t have much time for a dog, a Gordon Setter would not be the dog breed for you. 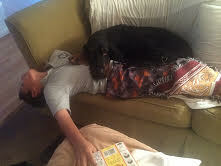 Did I mention that the Gordon Setter is extremely loyal? They are the most defensive of all the Setters. Most bark to alert their owners to the approach of strangers, but do not generally do any nuisance barking. They protect their home and their people well. Training is very important for a young Gordon. They do well with a balanced approach to basic obedience training. 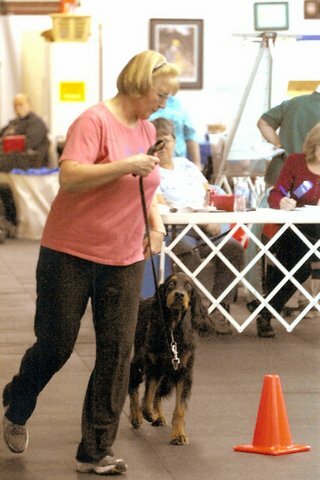 Using positive reinforcement works well with many breeds, but in general a few corrections thrown in draw the line with a Gordon and may help them to understand your limits. Left to their own devices they will cross the line to get your attention. 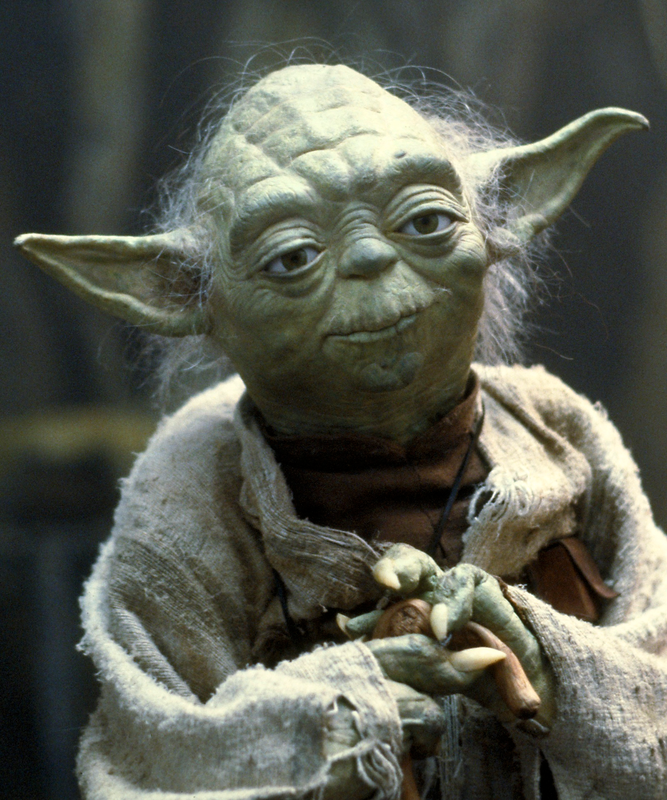 Training gives them guidance and structure so they fit into your family. Incorporating exercise into a young dog’s life is good for their health. It also gives them a release for all their energy. Training is just as important as exercise. It helps to mold your dog’s personality so they fit into your lifestyle. 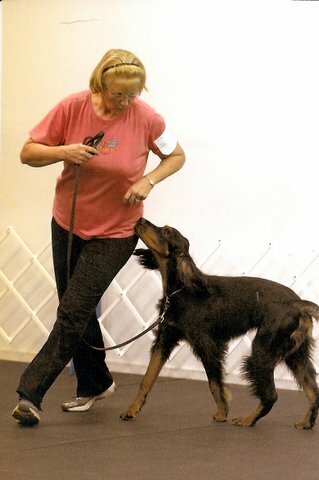 A sense of humor is needed when training a Gordon Setter. Often the girls understand exactly what you are asking of them and they decide to do things with a twist and give you that humorous look – “are you nuts yet?”. In general, most Gordon girls are food motivated while the boys are motivated more by praise and love (there are always exceptions). They don’t see the point in mindless repetition, so do make sure to keep your training sessions fun and exciting. Communication skills are not a problem for most Gordons. They are very efficient at letting you know what they want. Whether it’s a bark, a whine, a woo-woo, a paw or a kiss, they will have you trained in no time! You just need to dial in to your dog, figure out what motivates them and help them understand what’s important to you. Be ready to comprise when something is important to them and the relationship blossoms into something very special. 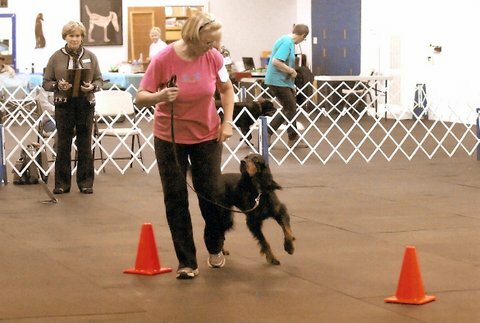 Gordon Setters are very smart and trainable and can be trained for many activities. They do well in conformation, obedience, agility, tracking, rally and the field. While many herding dogs make great ranch dogs, the Gordon will not excel at this job. They are too trusting of livestock and a bit too inclined to frolic. They typically don’t take the time to read the intentions of the other animals and this is a recipe for injury. They are very athletic and enjoy activities that usually end with some snuggling on the couch. A moderate amount of coat care is necessary to keep your Gordon in good shape. If you don’t groom them often enough they will mat and then you’ll have one heck of a mess on your hands. Most Gordon Setters should be bathed at least every 2-3 weeks and groomed every few months. The hair cut keeps the matting to a minimum and makes for easier maintenance of the coat. A good quality shampoo and medium heavy conditioner should be used to keep the coat clear of mats and soft for all that snuggling. Combing a dry dog breaks the coat. It’s best to use a spray leave on conditioner that you comb into the coat. Gordon Setter breeders and owners have been very diligent to maintain health in the breed. We are constantly working on maintaining type without compromising health. The cancer rate in Gordon Setters is similar to most sporting dogs. 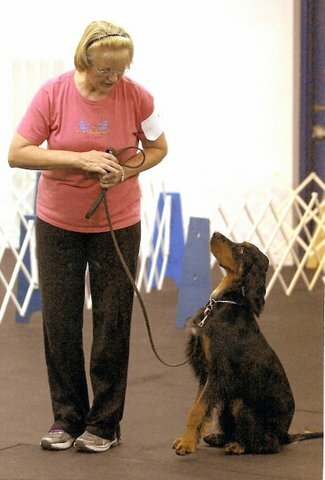 The health clearances recommended by the Gordon Setter Club of America include OFA hips, OFA elbows and CERF eyes. There are two new genetic tests available for testing juvenile renal disease (JRD) and late onset progressive retinal atrophy (PRA). Many breeders also routinely check their breeding stock for low thyroid. Sometimes the Gordon will develop minor sebaceous cysts as they age. All in all, though the Gordon is a very healthy breed. The end of a day with a Gordon usually consists of snuggling on the couch while watching TV or maybe that could become falling asleep while watching TV! The more snuggling and love the happier the Gordon.